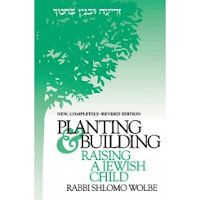 Not to hijack this post, but another great recommendation is the Slonimer Rebbes’ kuntress Nesivei Chinuch, translated into English. Shmuel, the English version of Nesivos Chinuch is excellent. I have gone throught it twice. I will rename his post, since Rav Wolbe’s Sefer is more geared towards parents.